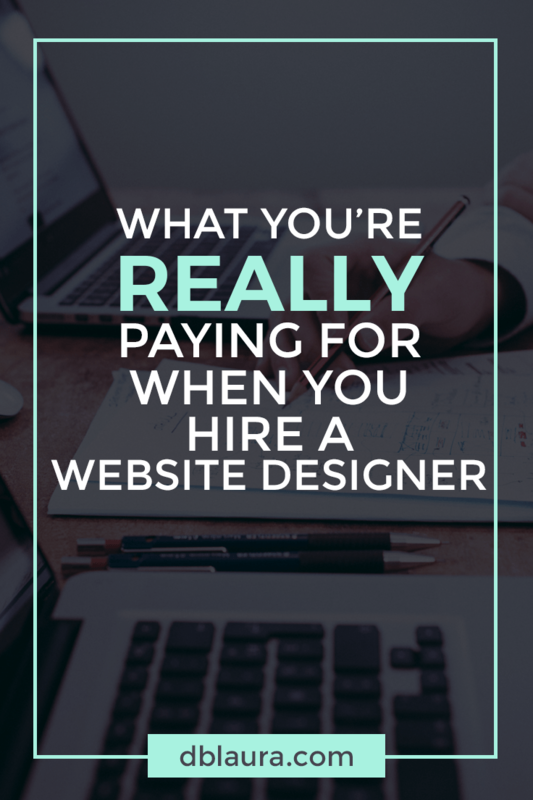 There is no denying that hiring a professional website designer is expensive. To get a truly professional website like the ones you visit on a daily basis, you’re going to shell out some bucks. And that expense can often prevent small business owners and entrepreneurs from taking the plunge of hiring a designer, usually because they don’t fully understand the investment they’re making. When hiring a professional web designer, you’re paying for much more than just a finished website. Obviously, you’re paying for the designer’s time, but more than just the time it takes them to build your website. You’re paying for all the hours they invested learning how to build websites. You’re paying for the hours they spent practicing to become proficient. And, in fact, you’re paying for the time you don’t have to spend wading through the technical details and frustrations your web designer has already conquered. Cheap designers give clients what they want. Expensive designers give clients what they NEED. All that time your web designer invested in learning to build websites has led to their being an expert. All the tricks you would need to learn on the fly building your own website, they already know. If you don’t have experience building a website, you’re starting from ground zero. A professional designer is far past that. Because you would be starting at ground zero, with little to no knowledge of building a website, you would likely not have a trouble-free experience. Even professional designers run into technical glitches or need to troubleshoot problems while building a site, but they are equipped to do so. During the learning process, every designer has run into an issue or two (at least) that has given them an incredibly hard time, leading to tears, yelling, a flood of cursing or a laptop slammed shut in anger. We’ve been there; you don’t have to be. This might seem like an obvious one, but there are specific concepts in website design that not everyone has mastered (including some “professionals”). As in any profession, website designers have mastered specific skill sets, which cannot necessarily be mastered in the building of one website. Why do you we order takeout rather than cook for ourselves? Why do we go to restaurants? (Why do all of my examples involve food?) Convenience! It’s way easier to pay for someone else to do something for us than it is to do it ourselves. Let them do all the hard work. Let them deal with any problems that crop up. You sit back and relax.